Archibald Gilmour was the eldest son of the barrister Thomas Gilmour and his wife Elizabeth of Hampstead. He was born on the 21st July 1892 and arrived up Grant’s in January 1906. He was elected to the Debating Society in Play 1909 and in the October of that term, they met to discuss the recent claim made by Dr Frederick Albert Cook (1865-1940) that he had reached the North Pole on 21st April 1908. Gilmour opposed the motion, pointing out that Dr Cook had set off with insufficient provisions and that, according to two men who accompanied Cook, he had “never killed any game, never went out of sight of land, and returned with his sledge load of provisions intact”. The motion was lost by 8 votes to 7. 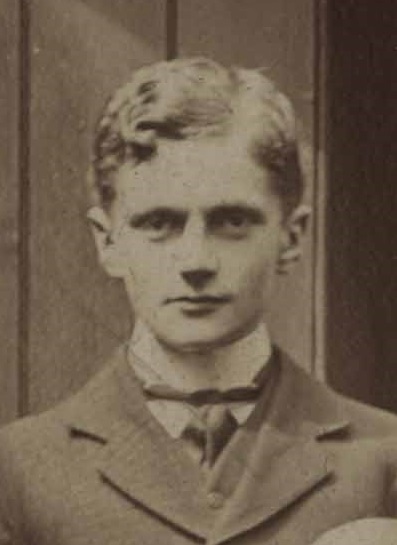 After leaving the school in July 1911, Gilmour joined Balliol College, Oxford. He was admitted to the Middle Temple in April 1913. In the August of 1914, he enlisted in the London Scottish. The following month, he was made 2nd Lieutenant in the 7th (Service) Battalion, the King’s Own Scottish Borderers, and was stationed at Bordon, Hampshire. He was promoted to Lieutenant in February 1915, and sent out to the western front in June 1915. He was wounded during the Battle of Loos, and was invalided home. By the end of September 1915, he had been made Captain. Between January and March 1916, he undertook home service with the 9th Batt. King’s Own Scottish Borderers at Catterick, Yorkshire. He attended a company commanders course in March 1916, before returning to the front in April 1916, re-joining the 7th Battalion. He served as a company commander in the Somme Sector, a role he found stressful, as he reveals in a collection of letters and papers that is now held in the archives at the Imperial War Museum. On the 15th August 1916, in the trenches between Fricourt and Bicourt, Archibald Gilmour was hit by a shell fragment and died at the age of 24. This entry was posted in Debating Society, The Fallen. Bookmark the permalink.